Study brands vitamin supplements useless for cardiovascular disease: Most commonly used supplements were not associated with reduced CVD risk, and antioxidants and vitamin B3 were associated with increased risk of all-cause mortality. States are opening Medicaid to alternative medicine: As the opioid crisis grows, you’ve got to hand it to alternative medicine proponents: they’ve managed to insinuate their so-called treatments into the mainstream, all based on anecdotal evidence. That’s right, you still can’t prove that acupuncture, chiropractic, or any of the other modalities promoted by alt-med have beneficial effects when studied in clinical trials. And yet, they’re gaining access to our hospitals, popping up like mushrooms. And now, they are using the opioid crisis as the crowbar to prise open hospital doors. The pressure is on in the US: find a way to stop the expanding number of opioid overdoses and deaths. And stepping in to save the day, the alt-med practitioners offer the solution to the problem. Pain relief without drugs. It’s a pity it doesn’t work and only serves to waste patients’ time and money. 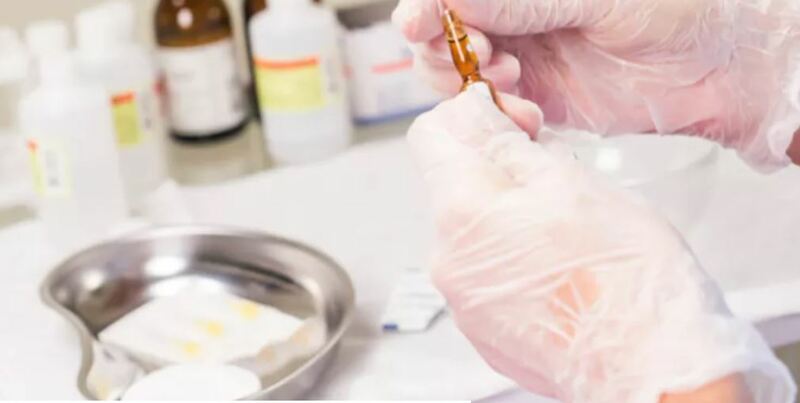 ‘Desiccated pig’ – More patients using unproven treatments, doctors say: While many alternative treatments are not dangerous, Dr Bruce Willett, a Queensland GP, said they may cause long-term harm by preventing people seeking more effective remedies. He said in some cases patients had died, including a man in his late 30s who had been receiving colonic “washouts” for constipation for five years. “Obviously in retrospect [the constipation] was due to his advancing bowel cancer,” he said. By the time Dr Willett saw the patient, the cancer was advanced. “It was very sad,” he said. “Good for you” Snake oil supplements – Information is beautiful: It is tempting for people to try to divide health products into things that work, or “things that are good for you”, and things that are “bad for you”. In point of fact most things exist on a spectrum, which is well demonstrated on today’s infographic. Some things are helpful for particular conditions, but not other. Some things have more supportive evidence than others. Some this may actually be actually harmful in some ways. Most people have limited resources (time/money/stress) to put into health. If they waste their resources on things that do not matter, they tend to have worse health outcomes. Tying all these concepts is the ‘Worth It’ line. A product that is more beneficial is higher on the chart. One that has less reliable evidence is lower. Items below the line, are either doing harm, or just wasting people’s time or money. Now different people may have different reasons for where they think the Worth It line should be. But the important thing is to understand what your reasoning for a ‘worth it’ standard actually is. It is generally less helpful to simply blindly call things “good for you”. The flu vaccine – Here’s why flu vaccinations should be mandatory for Aussie health workers in high-risk areas: Influenza (‘the flu’) refers to an infection with an Influenza virus. Many people confuse the flu with colds (rhinovirus) or bacterial infections (strep throat), and while all are common in winter and share some symptoms, influenza infection can be truly debilitating. In fact, for many groups in society, influenza can be deadly. These ‘at-risk’ groups include the elderly, infants, pregnant women and chronically ill or immunocompromised persons. Vaccinating against influenza is a good idea if you exist in a society (ie. everyone), a great idea if you regularly see people in these risk groups, and a no-brainer if you are one of these risk groups (with certain exceptions for medications and young infants, check with your doctor, etc etc). While the efficacy of flu vaccines varies from year to year (there is an amount of predictive work with determining what viruses are likely to be circulating), getting the shot every year is a good insurance policy against 7-10 days off sick. (And it absolutely cannot give you the flu!) Unfortunately, vaccination rates are quite low in healthcare workers, who are more likely to both contract the flu and pass it on to at-risk individuals. This article discusses the idea of mandatory vaccination in healthcare workers – what are your thoughts? The development of the “frozen section”. The Frozen Section: Historical background, technique, and quality assurance: When performing surgery to remove cancer, establishing whether the surgeon has “got it all” can be challenging, and microscopic confirmation can take days to come back. The Frozen Section allows surgical specimens to be turned into microscopic slides within a matter of minutes, whilst the operation is taking place, such that the surgeon can remove more tissue if the cancer is found to still be present.